Don't like how your digital devices have become a disorganized mess? Tired of wasting hours on social media sites like Facebook, Pinterest, Instagram, or Twitter? Or do you simply want to live a more simplified life? All these challenges are covered in 10-Minute Digital Declutter: The Simple Habit to Eliminate Technology Overload. 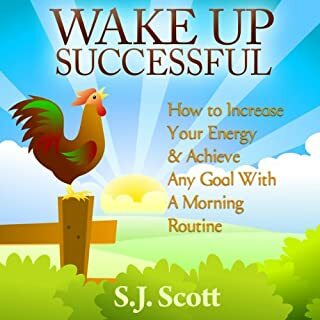 Best-selling authors S. J. Scott and Barrie Davenport will show you how to systematically manage all the emails, media, documents, photos, videos, and apps that consume your daily life. Learn how a simple app can organize your life and help you start getting things done. Evernote: the solution to "life clutter". Once upon a time, you needed a complex filing cabinet system and great organizational skills to keep up with all your "life clutter". And often, you had to maintain a series of notebooks to remember important facts, thoughts, and random pieces of information. With Evernote, those days are now in the past. What you get with this tool is the perfect idea capture mechanism and a place to store every important thought, document, or future plan. 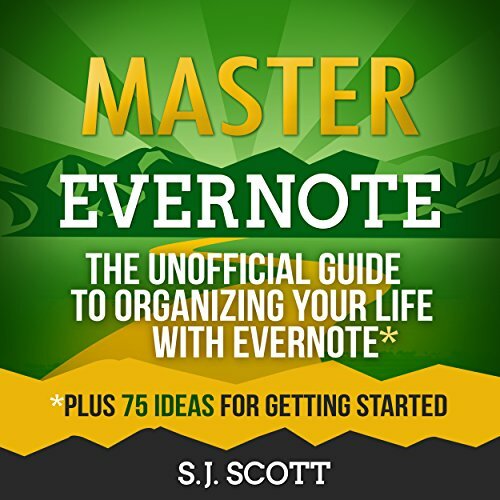 You'll learn how to do all these things in the audiobook Master Evernote: The Unofficial Guide to Organizing Your Life with Evernote. 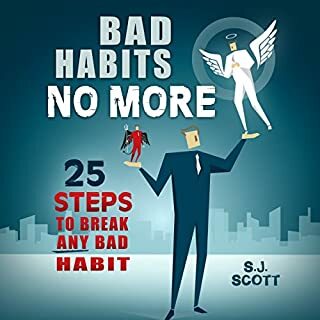 I read so many of Steve Scott's books, and one thing that just occurred to me is that the man writes books that are more useful and deliver more value than the people who are actually in the industries his books are about. This is what I mean about hysterical . . .
Steve can write about anything and I can guarantee it will be good. Thanks Steve, I'm a big fan. What did you love best about Master Evernote? This is a 'quick' how to understand the concepts and different ways to use Evernote. It goes very quickly into the specifics of how to use each part of the program, that fundamentally works like most programs these days (copy, filter/search, click on the icons....). 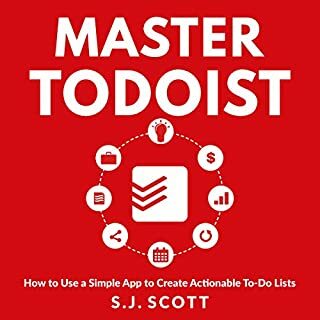 What this couple hour book excels in is running through a quick list of ideas of how to use Evernote to organize your world. Almost a brainstorm with a little flushing out of the many ways the program/system can be used to be more effective. I appreciate that it spends a fair amount of time referencing and integrating the concepts of Getting Things Done (GTD) by David Allen with this set of tools. I was already an Evernote user when I picked up this book. I thought I knew most of what I needed to know but I am amazed at how much I learned. I bought both the Kindle and Audible versions. The explanations are simple, easy to use right away. 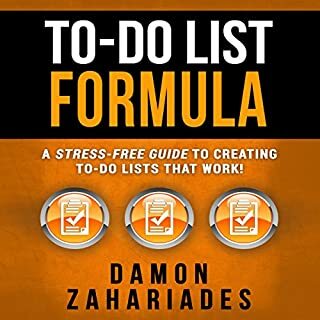 This book helped me increase my productivity tremendously. Great content and tips for getting the most out of Evernote. I would definitely recommend this to you if are looking to learn ins and outs of Evernote. 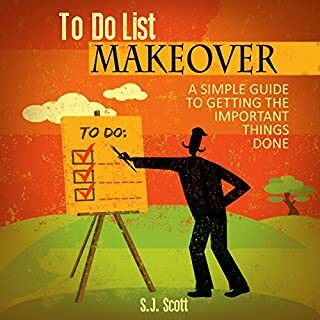 This book shows a way how to use Evernote as a tool for implementation of the "Getting Things Done" system. Master Evrtnoye and your life will never be the same again! It will be organised and paperless with this amazing book and the many helpful life-hacks contained within its pages! I immediately started using some if the ideas and found myself gaining extra time. I have a daughter who has trouble with school and I am going to sit her down and start her off on her toughest course and go from there. If I was a college student this would be a must read! Great ideas and a fresh look at Evernote. Good resource for both new users and advanced. Takes you from download to the best add-Ons to increase productivity. Though I am an experienced Evernote user, I found the book very helpful. I learned about several advanced features and new ideas on how to leverage the app for increased professional and personal productivity. Yes - I have already. I've been using Evernote for a few years and went from power user to super power user in about a week while listening on my commute. You don't have to start off at "power user" to get something out of this book. I found myself thinking "I wish I would have known this when I first started using Evernote" more than one time over the course of my listen. This is **the** book that answers the question almost everyone has about Evernote "Why should I use it?" It does this by giving you very actionable and practical steps to use in the process of getting organized with Evernote. There were new spins on old tricks and new tricks altogether that incereased my productivity dramatically. The arrangement of the topics into **actual topical chapters** - a new chapter / track for each "book chapter" makes the content easy to navigate to and keeps each chapter short enough to pick up something new even on the shortest drives. Would you be willing to try another book from S.J. Scott? Why or why not? What does Greg Zarcone bring to the story that you wouldn’t experience if you just read the book? Zarcone's delivery is very natural and makes the listen very easy. 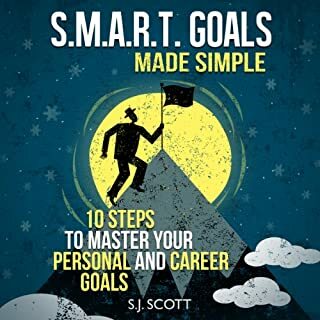 One of the better voices on Audible. Putting an exclamation point in front of your "inbox" folder to make it appear at the top of your list. Scott is kind enough to provide the PDF of the book so you can scan it for examples he alludes to in the book. This is a clear and quite comprehensive guide to using Evernote. It includes a huge range of ideas on how you might use it. As a bonus, the author will email you the full text as a PDF on request.